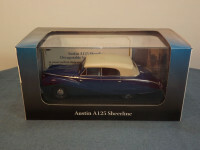 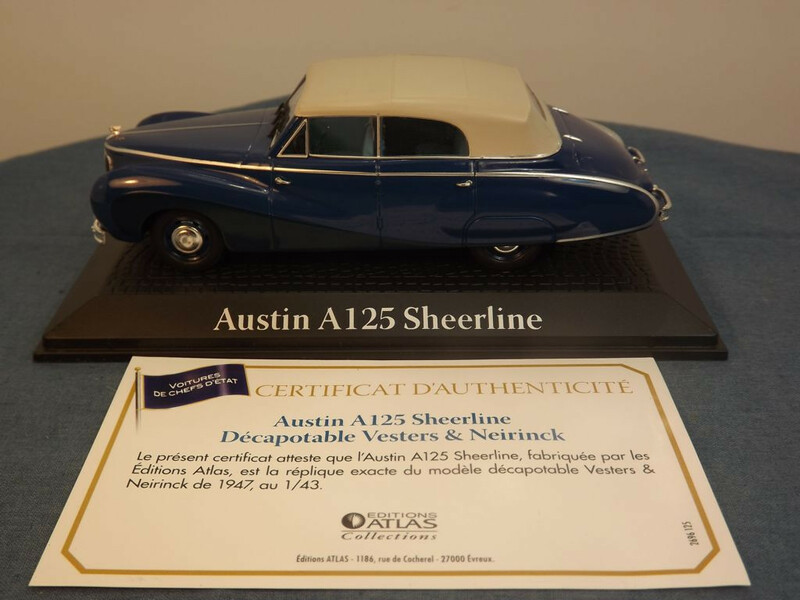 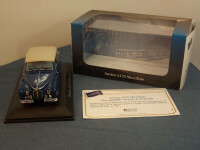 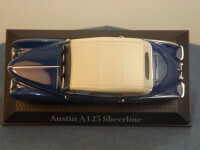 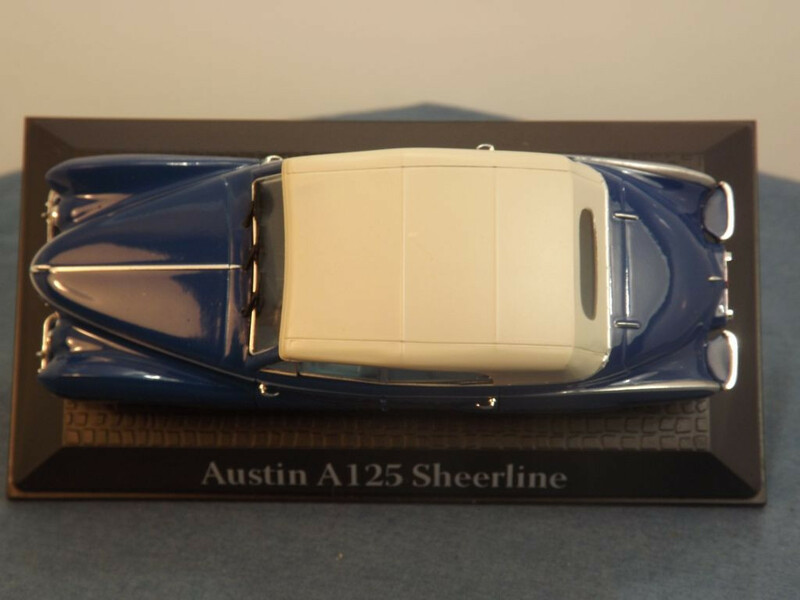 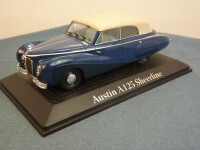 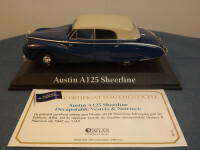 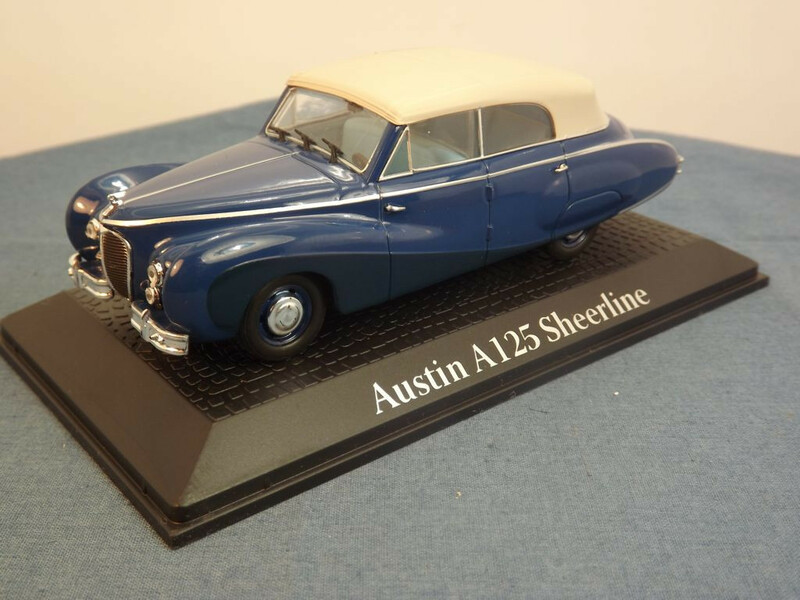 This model is the Editions Atlas Austin A125 Sheerline in two tone Blue with and cream roof. 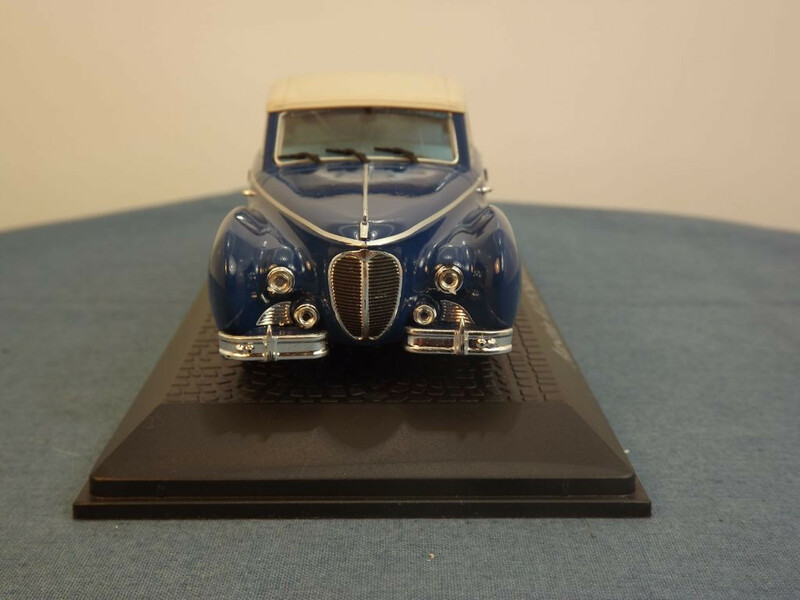 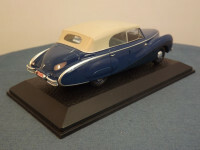 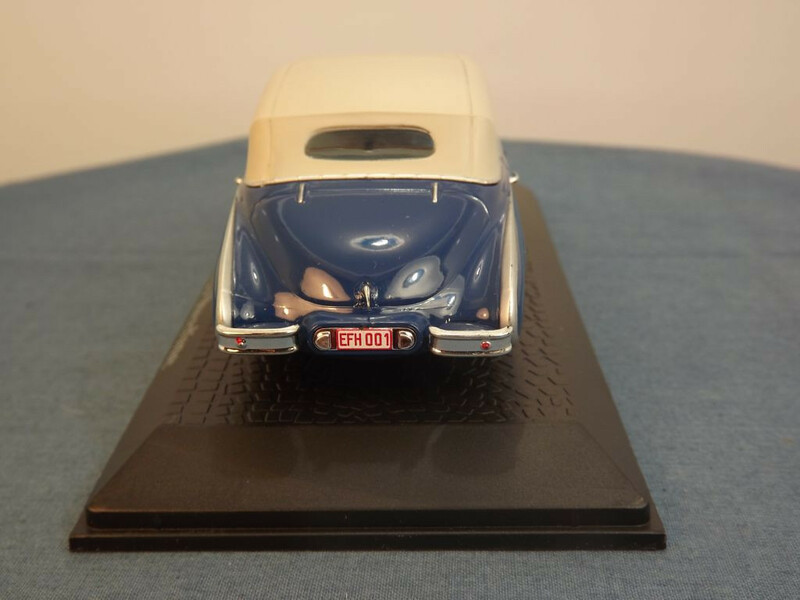 There are no opening parts on this model and all detail such as doors, rear wheel spats, boot, etc is cast into the body while other detail is in the form of etched parts (door handles, bonnet mascot, etc). 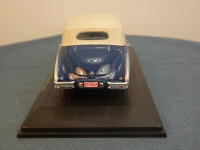 The vehicle is adorned with silver chromed front and rear bumpers, black grille with chrome surround, chromed front air vents behind the bumper, and head and side lights with clear lenses inside chromed surrounds to the front, silver tampo stripe around the upper body work and bonnet, individual side door handles, three black windscreen wipers, interior rear view mirror, silver trim around the windows, chrome rear number plate [EFH 001] in red lettering on a white background, red tail lights, and a cream roof. 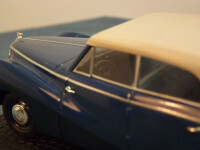 The front doors are "suicide" doors with the handles to the front edge of the door and hinges on the centre column of the car. 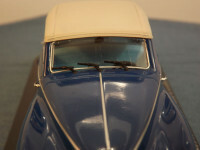 The interior is blue plastic and has a black dashboard with black left hand drive steering wheel. 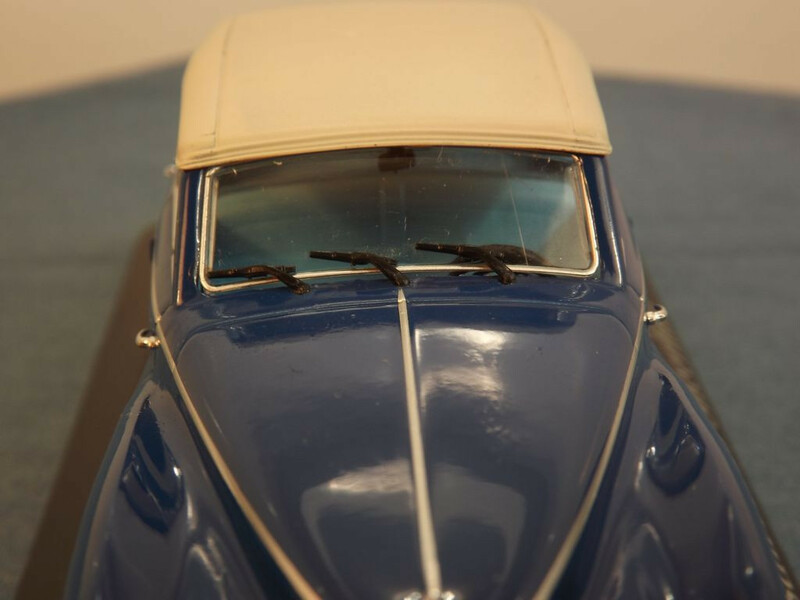 All glazing on the model is clear, including the rear folding roof window. 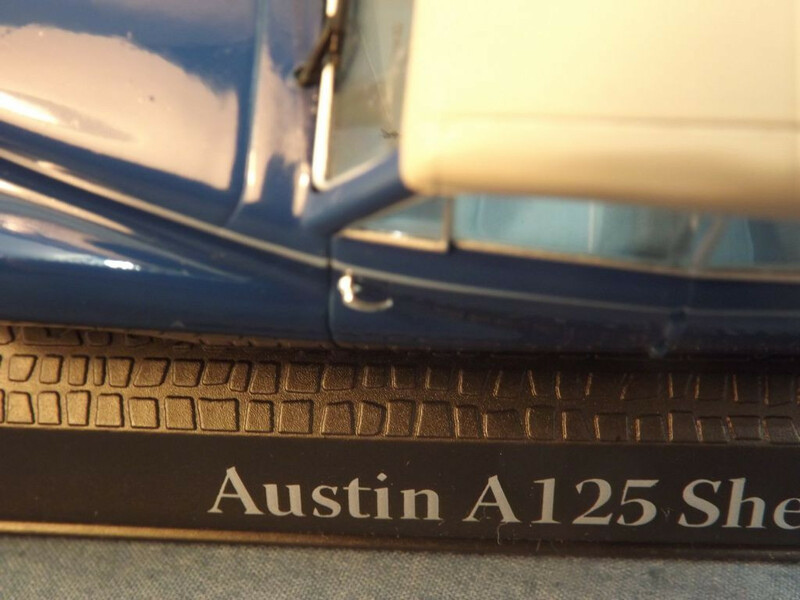 All wheels are one piece, blue painted, plastic hubs with chrome hub cap and separate black rubber tyre on steel axles which pass through the base plate. The base plate is black plastic that carries the legend "Austin Sheerline Princess" to the centre top, and "Editions, Atlas, Collection, 1/43" on four lines to the front centre bottom, just behind the front axle. 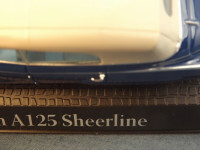 It is held in place by two tiny self tapping screws.